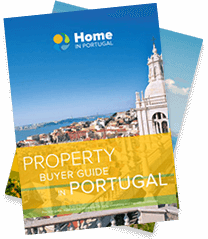 Brief history of the real estate market in Portugal. 2008 is given as a mark for the beginning of the crisis in Portugal, with the subprime crisis in the USA. However, the real estate market in Portugal has not grown exponentially since the 2000s, unlike many European markets. Boosted by the global exposure of 1998 and Euro 2004, real estate investments then slowed down. Prices have dropped by 25% during the crisis but go back up and are now 2007-2008 (with the exception of some tourist areas of Lisbon and Porto). In addition, the real estate launches in Portugal have been regular but not very important, even if from 2015 they start to increase what will thwart the price increase. Number of conclusion of works of dwellings and buildings in Portugal as well as the annual variation. Thus, when the financial crisis of 2008 arises, Portugal is not in a situation of overstock and speculative bubble. What’s going on then? The Portuguese real estate market was literally buoyed by real estate credit from 2003 to 2008. In 2008, Portuguese banks, which until now had greatly facilitated real estate loans, stopped financing real estate purchases. As shown in Figure 2.2 and the number of transactions drops drastically and in 2016 returns to pre-crisis levels. The economic crisis in Portugal since 2008 has had repercussions on the Portuguese real estate market. The lack of liquidity of the inhabitants due to the cessation of bank financing for nationals has affected the controlled growth experienced by the country since 1995. Real estate sales prices in 2012 dropped by 25% compared to 2008 at the national level. Lower prices, large stock of apartments for sale, not all regions are alike. The drop in prices recorded between 2008 and 2012 is only 10% (compared to 25% of the country). As an example, a 3-room apartment of around 100 sqm that sold for 320,000 euros in 2008 will sell for 265,000 euros in mid-2013 and 350,000 euros in April 2015. According to Imovirtual, the average price of Lisbon today stands at 3,426 € / sqm for an apartment and 3.517 € / sqm for a house, any state (new, old renovated and old to renovate). The average price of real estate in the Lisbon Metropolitan Area (AML) is 4,000 € / sqm for the new construction (the majority of launches are in dynamic and prestigious areas) and 2,000 € / sqm in the great crown of Lisbon. The prices per square meter in the historic zone are maintained between 3,000 and 9,000 euros depending on neighborhoods, which remains a low price compared to other European capitals. But beware, this Metropolitan Area is very disparate and these figures hide very different realities. It consists of Lisbon, Cascais and Oeiras which are the areas of the country whose average prices per square meter are the highest, but also of popular areas and suburbs that strongly pull the averages down. The Lisbon Metropolitan Area has absorbed the largest price increases and also the largest number of transactions in 2015. Traditionally the most dynamic, it suffers in some places from the shortage of offers. It is also the place where the most building permits were issued in 2015. According to the INE (Instituto Nacional de Estatísticas) while the concession of building permit in 2015 at the Portuguese national level was negative compared to at the request of 2014: -5.5%, the evolution of this region is + 47.9% .This statistical data demonstrates the index of confidence and the current dynamism of the real estate market in Lisbon. There is currently a great deal of pressure on the valuation of certain neighborhoods, particularly because of foreign demand moving to Portugal or wishing to invest in it. Price evolution in Lisbon. Notice to buyers, it’s time to invest because prices are starting to rise! The prices in Algarve are currently increasing to nearly 50% due ti foreign demand, including European retirees who seek a higher quality of life and attractive tax. The Portuguese second home market is at a standstill. The prices vary enormously and are the ones that have come down a lot in the last 4 years. There are two very important markets in the Algarve: in 2012 that of “Luxury” with 27% of transactions of goods greater than € 1,000,000 and 51% (+ 15% in one year) transactions between € 100,000 – € 500,000 . In 2015, prices increased by 4%. The existing stock is running at a good pace and new construction is being phased in gradually. In October 2016, according to Imovirtual average real estate prices including second-hand goods to renovated ones per square meter are between 1,914 € per sqm for an apartment and 2,586 € per sqm for a house in Loulé and 1729 € per sqm for an apartment and 2.029 € sqm for a house in Albufeira. The price of Portuguese real estate due to the crisis and the standard of living of the country is considered accessible. Indeed, compared to the index of other European countries, the price per square meter in Portugal is on average € 2,213 per square meter, but it must be weighed because there is a great disparity between the regions, the price of new or renovated and the price of very degraded and very numerous goods throughout Portugal. However, we are far from Paris, Brussels or Luxembourg prices. Here we make a point of average price per square meter found and real estate index of our profession. However, the values of a property are a function of various factors, including its location and condition. Of course, in terms of average price, we can find more expensive or cheaper depending on the characteristics of the property. The housing stock in Portugal is heterogeneous. We consider here new modern buildings with elevator and underground parking or old buildings but completely renovated. The regions with the highest demand and interest, logically driven by internal demand (the Portuguese), are first and foremost the metropolitan area of Greater Lisbon, followed by Porto and its surroundings. Note that the trend of the market since the end of 2013 marks the recovery and the return of investors with a valuation trend. INE (Instituto Nacional de Estatíscas) announced a 2.2% increase in real estate prices in 2014 at the national level with large disparities between regions. We have dedicated articles for the 2 most dynamic regions of Portugal, which are also the ones that most interest Francophones.